Skin is your body’s biggest organ. It serves as a protective barrier between your insides and the rest of the world, assists organize body temperature and acts as a filter. Skin come into being in a constant state of growth, Old cells are dying When new cells are formed. It is affected in all aspects of your life, from what you eat to where you live. Healthy skin can combat aging symptoms, It heals faster and protects potential disease better than unhealthy skin. If you are concerned about your physical appearance, proper skin care is vital. Unhealthy skin tends to appear sallow and dull, On the other hand, healthy skin appears full and vivid. 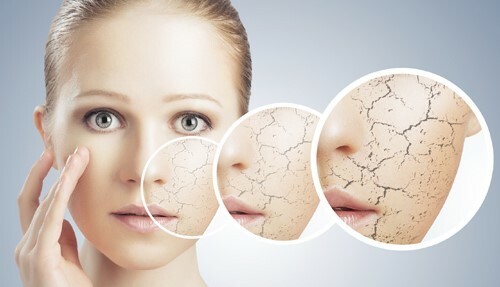 Wrinkles improve with more ease and sink deeper if your skin is dehydrated and unhealthy, and it can result in irregular patches that have a stained color. Flexibility loses when skin is unhealthy, This can make it sag and appear. The right skin care is not just about looking good, Nourishing the skin with natural products. Poor skin care habits can lead to wrinkles, wounds, acne and wrinkles. The polyunsaturated fatty acids and vitamin E present in the oil have excellent antioxidant qualities. These substances promote oxygenation within the cells and neutralize the adverse effects of free radicals. And recreate the skin. Skin is continuous growing and changing, So you must be careful to take care of him. Keep your skin hydrated by drinking abundant of water throughout the day, and maintain a balanced diet to ensure the vitamins and minerals your skin needs. Stick with fresh fruits and vegetables, whole grains and lean protein for the best results. If you spend time outside, always make sure you use Arganrain Pure Argan oil from the argan oil is %100 natural, pure and unique. Proper skin care is important for health and appearance during pregnancy. Unhealthy skin may cause an unhealthy body, which in turn can lead to an unhealthy baby. Healthy skin is softer and will reduce the stretching marks typical of the later stages of pregnancy. So During pregnancy, stretch marks appear on the abdomen as the skin is overstretched. Pregnant women can safely use ArganRain Argan oil products on their abdomen to improve the skin condition and prevent stretch marks on it.